Posted November 21st, 2012 by & filed under Double Trouble, Submitted. Posted November 12th, 2012 by & filed under Best Friend Betrayal, Submitted. 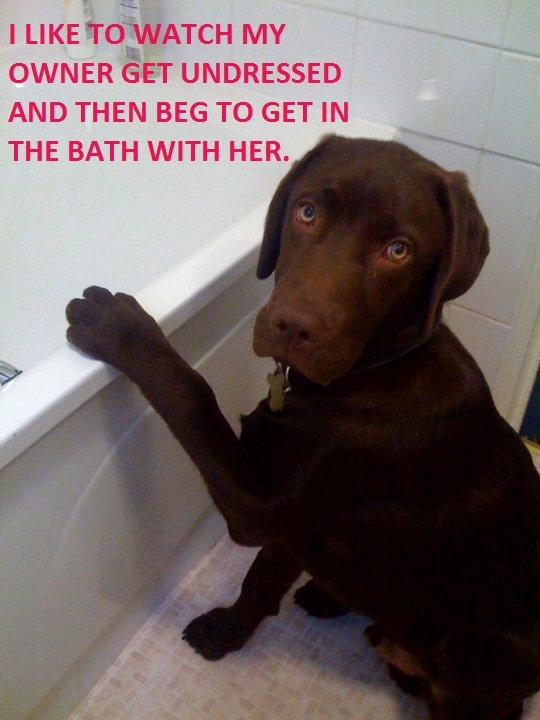 I LIKE TO WATCH MY OWNER GET UNDRESSED AND THEN BEG TO GET IN THE BATH WITH HER. 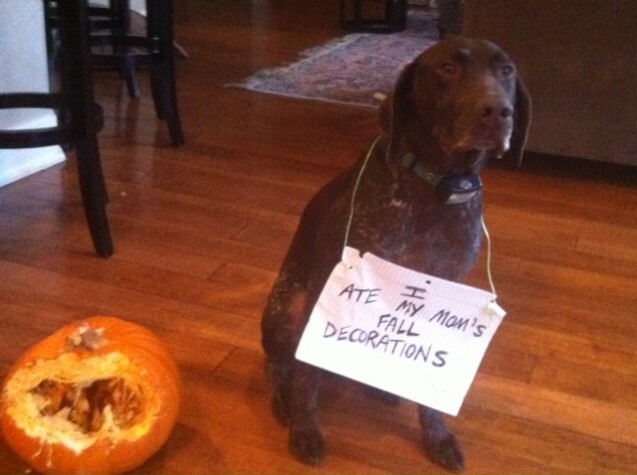 Posted October 20th, 2012 by & filed under Pilfering Pooches, Submitted. Here you go. Not sure if this one is better to use! Thanks for considering it! 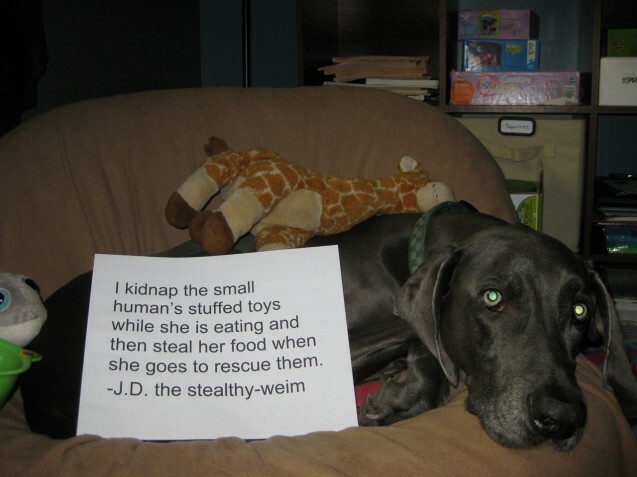 Posted October 17th, 2012 by & filed under Pilfering Pooches, Submitted. 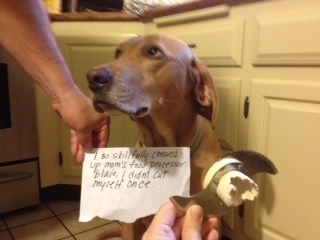 Posted October 15th, 2012 by & filed under Escape artists, Submitted. 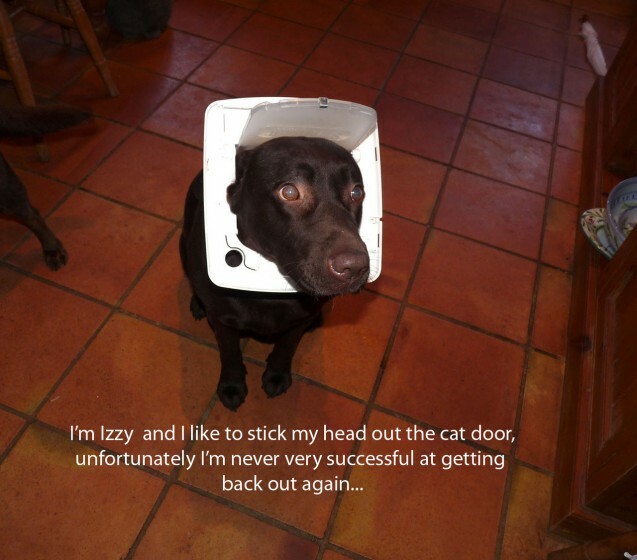 I’m Izzy and I like to stick my head out the cat door, unfortunately I’m never very successful at getting it back out again..
Posted October 8th, 2012 by & filed under Bad Babysitter, Pilfering Pooches, Submitted. 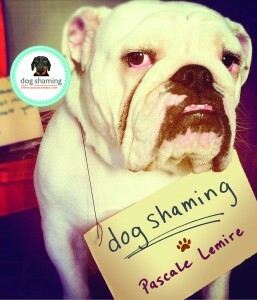 Posted October 7th, 2012 by & filed under Pilfering Pooches, Submitted. 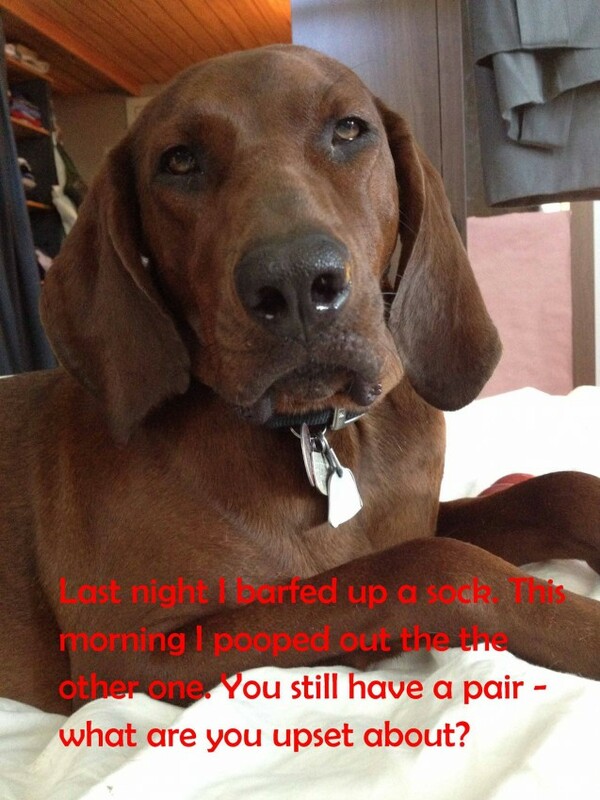 Posted October 6th, 2012 by & filed under Sock It To Me, Submitted, Surprise Poops. This is Mabelline. She likes socks in an unnatural way. Posted October 3rd, 2012 by & filed under Piddle Party, Submitted. 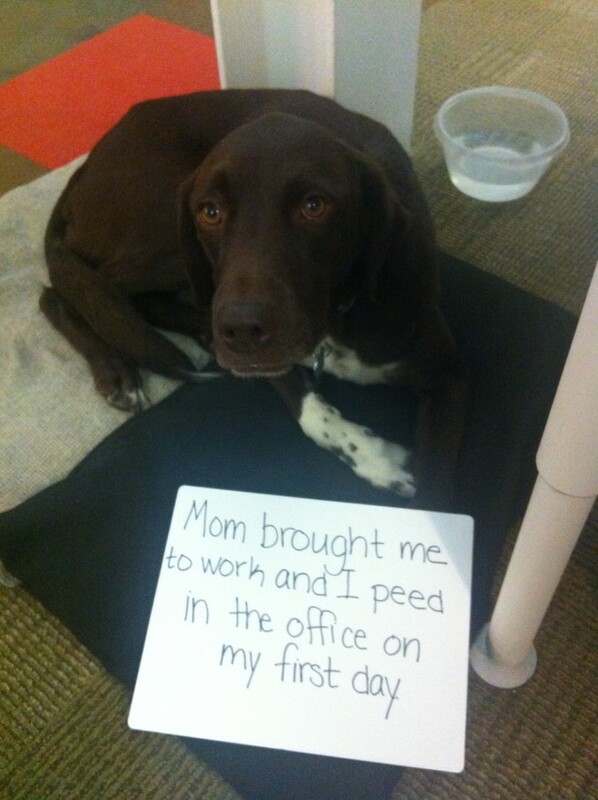 Mom brought me to work and I peed in the office on my first day. 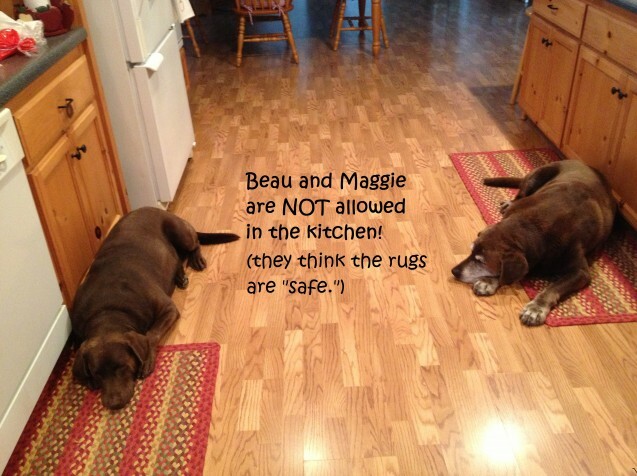 They Think They Are Far Too Cute To Follow Rules. 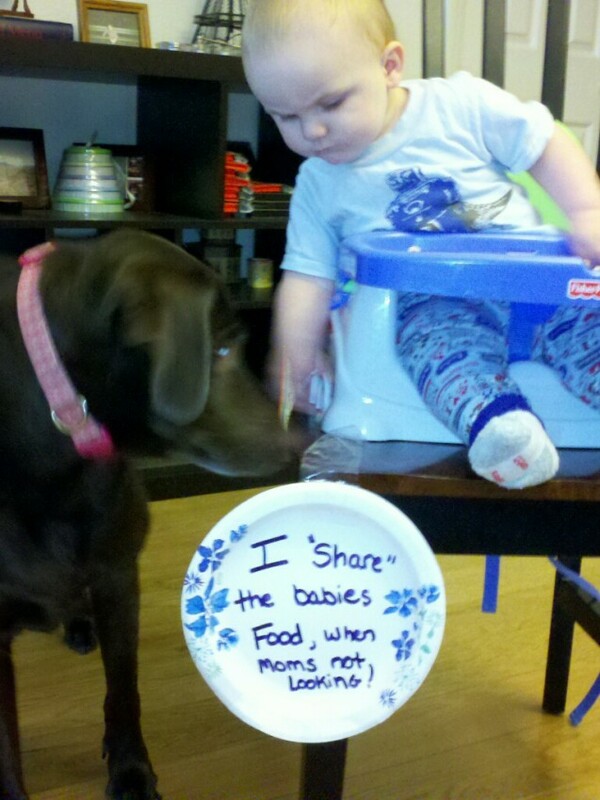 Posted September 30th, 2012 by & filed under Double Trouble, Submitted. 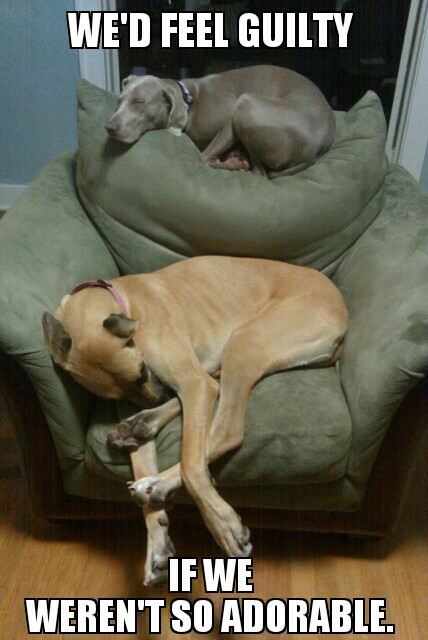 Izzy (top bunk) and Ava (bottom bunk) think they are far too cute to follow rules.